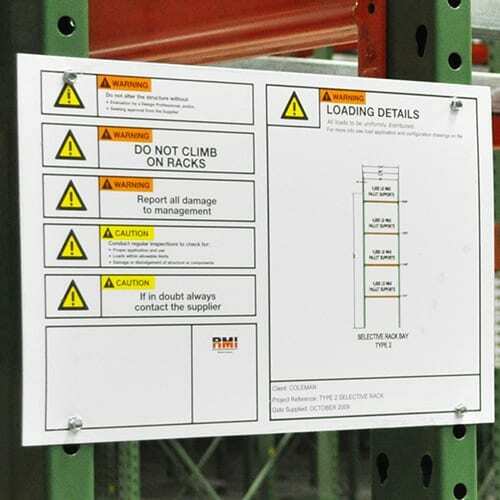 Location identification signs are the back bone of ongoing communication, a versatile product produced in any size, design and with a variety of attachments so they can be used in every part of a distribution center for messages or identification. 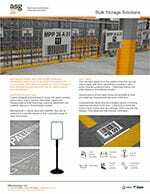 ASG Services is the leading specialist manufacturer and installation expert of identification placards. Our production facility is furnished with the latest sign making equipment, suited to variable data handling and quality control. Our project department is renowned for quality and ingenuity. 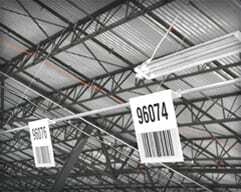 Warehouse barcode signs are often fixed in much the same way across facilities, however on occasion and with time restrictions, they and the installation teams are forced to produce the seemingly impossible. Their attention to detail, meticulous approach and efficient nature set them aside from others, they have the customer’s interests first and foremost and then ASG Services, where competitors may be using subcontracted installation teams who are not so minded. 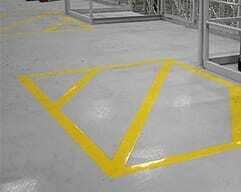 All sign installations are classed as projects and are handled with the same dexterity and commitment to success. 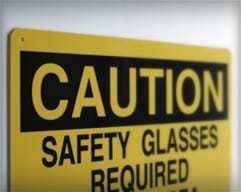 Our range of industrial signs is extensive, most are custom made and nearly all are different to the next. 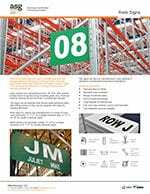 Our most popular are hanging barcode signs, aisle signs and dock door signage, these have been used in distribution centers for many years. 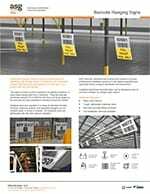 A unique offering from ASG Services are rack load signs which are custom made to guidelines and including content supplied by the customer to portray information which is often critical for the safe loading of racking and shelving. 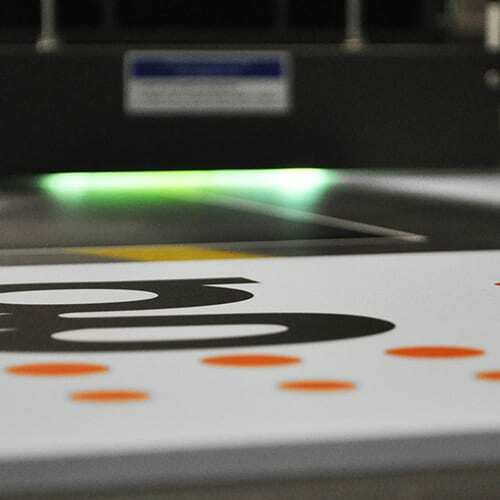 We produce all signs from base materials, which helps keep costs down for the customer and improves our stock holding so delivery times are shorter than competitors. 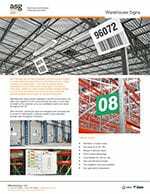 Many signs produced at ASG Services are equipped with retro reflective barcode labels for long range scanning, alpha, numeric and/or alphanumeric content, not to mention high definition imagery, barcode signs are very popular throughout the distribution industry. 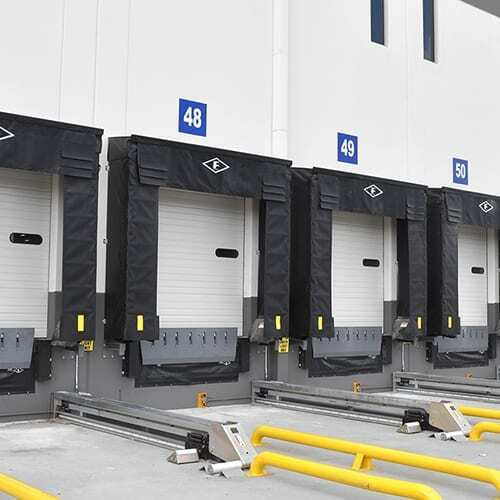 A variety of materials are used to produce our products including, foam board, COREX board, aluminum composite, steel, occasionally timber and semi-rigid composite structures. Most are overlaid with vinyl, polyester and/or printed direct. 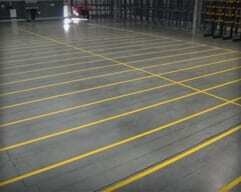 We utilize durable materials and production techniques to produce warehouse aisle signs in standard and custom sizes. 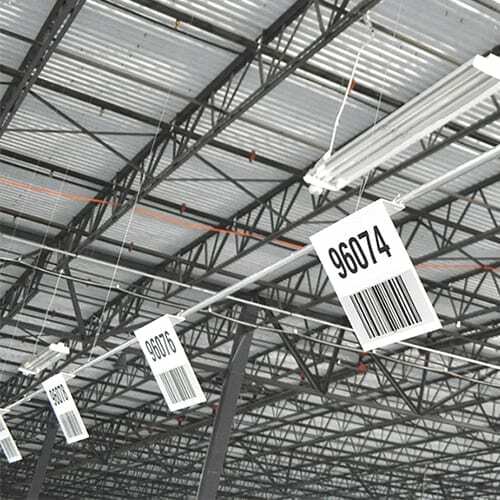 Bar code signs and labels are a specialty of ASG Services, our production facility in Norcross. 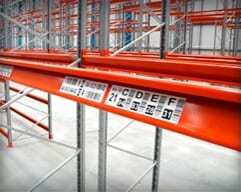 ASG Services are specialist warehouse sign manufacturers, producing every type of placard used, in warehouses and distribution centers. 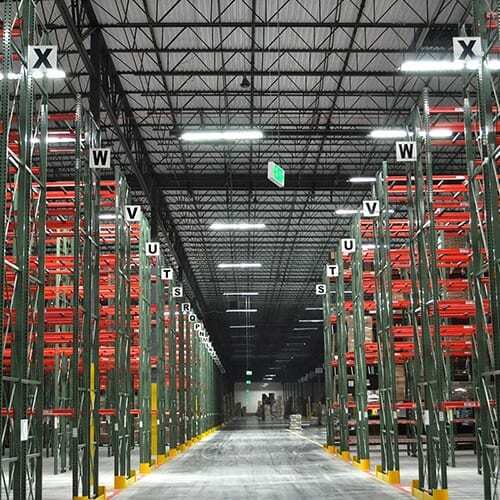 Warehouse identification and information signage is a specialty of ASG Services, our ability to design and create any type of warehouse sign means we often produce something which is suitable as a universal yet custom product. 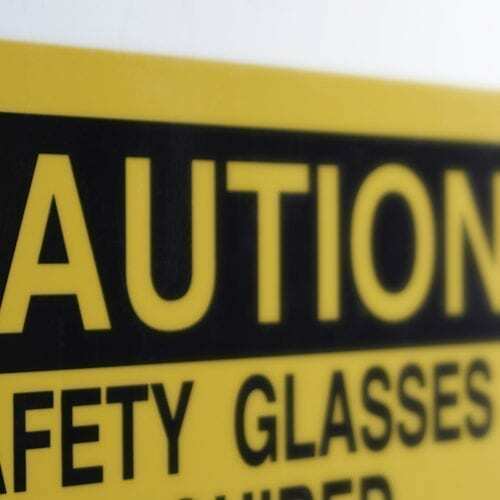 ASG Services manufacturer facility and safety signs to suit the individual needs of the customer, from design to installation. 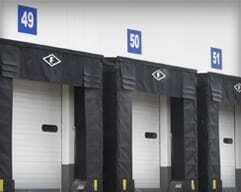 Warehouse signs are designed with functionality as the most important element, followed by cost effective durability and if there is time to spare, their appearance is then considered. 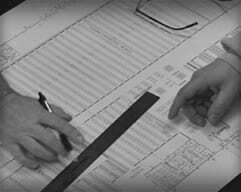 Call us on (877) 447-9798 to speak with us about your situation and get the answers to help with your project. Send your email with as much information, images, drawings and any other items as you can to help us respond with the best reply possible. Let us know which sign samples you need and we'll get them on their way.